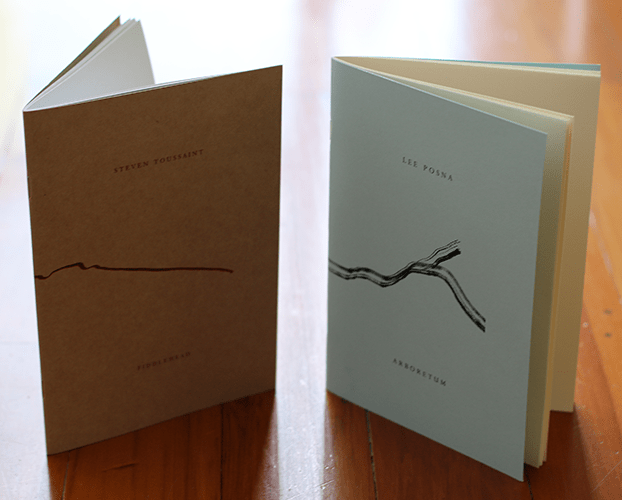 The string Compound Press first appeared in 2012, blazoned on an eclectic array of hyperlimited 3-5 run chapbooks, produced covertly with appropriated materials after hours in the printing room of one unnamed New Zealand law firm. Now we translocate short manuscripts of innovative poetry into meticulously crafted hand-made chapbooks, prizing lyrical intensity & mad science. All texts are distributed under an Attribution-NonCommercial Creative Commons license (CC BY–NC 4.0), & we maintain a particular though non-exclusive commitment to poetry of the Pacific Region, while sea-levels still permit. We also publish Minarets journal of poetry & poetics, as well as offering attentive printing services for artists & activists. Please note that chapbook submissions are by invitation only at this time—unsolicited manuscripts will receive no response. Thank you for your understanding.